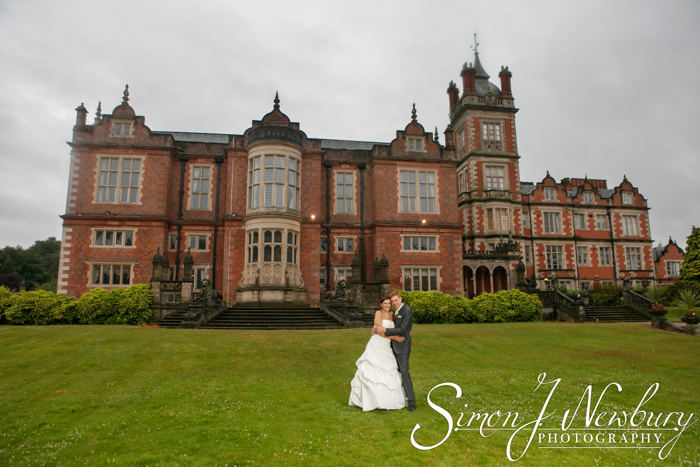 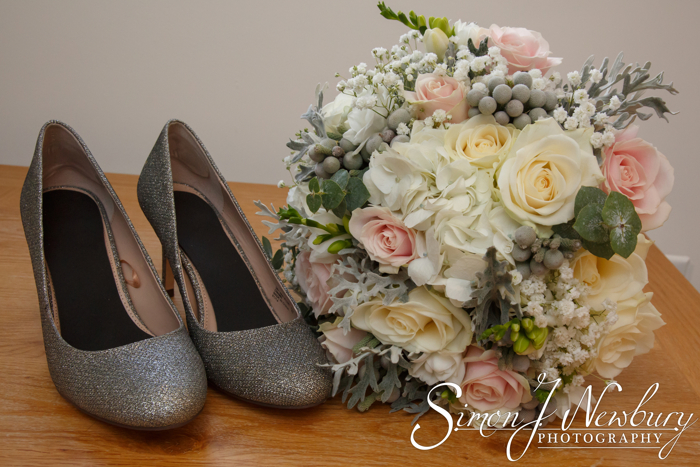 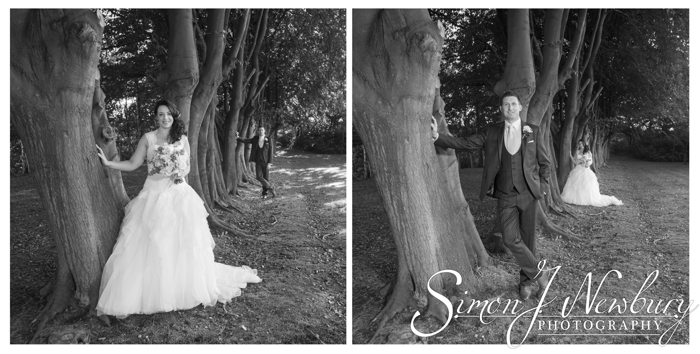 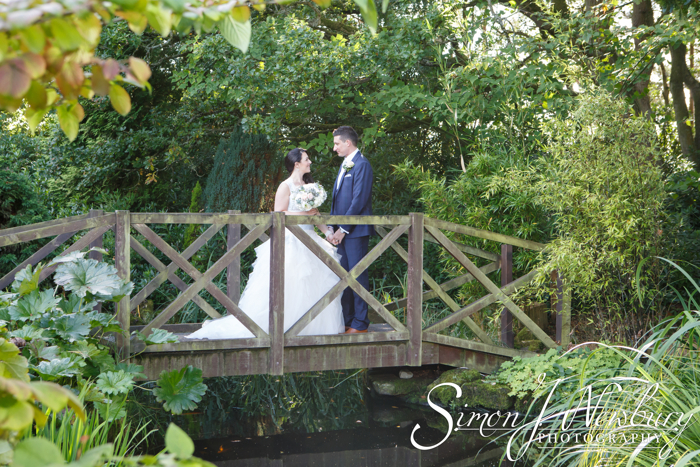 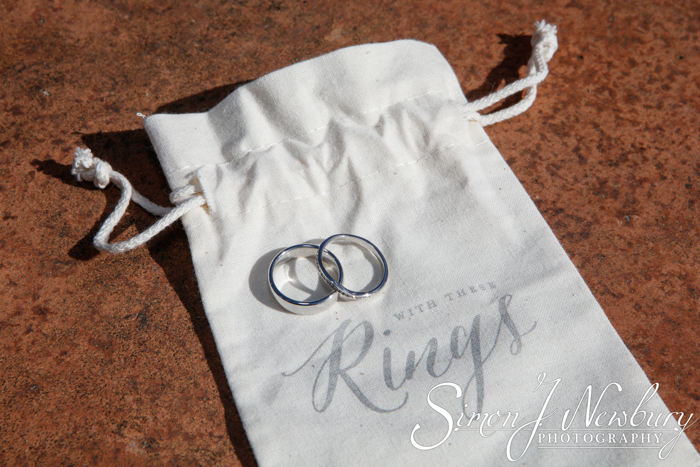 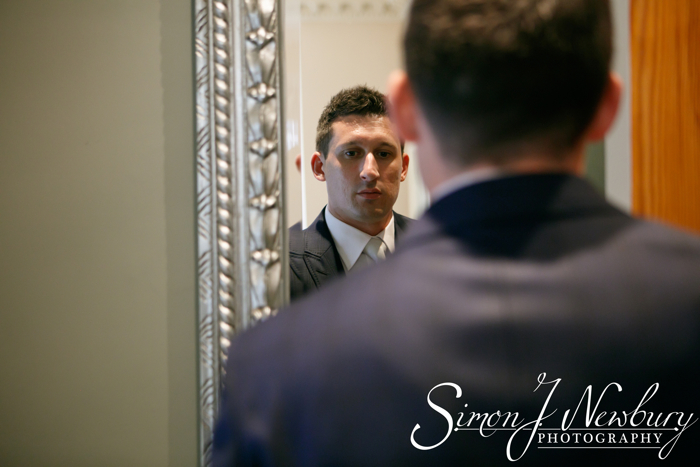 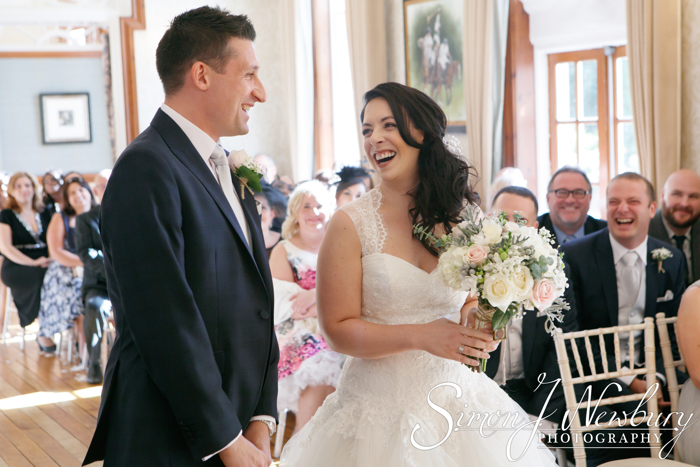 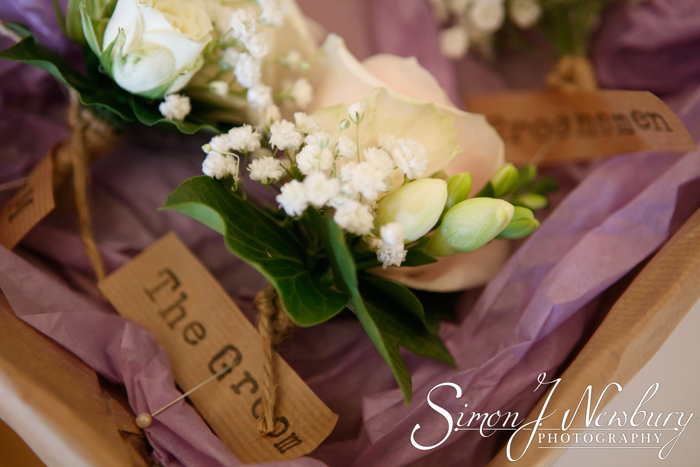 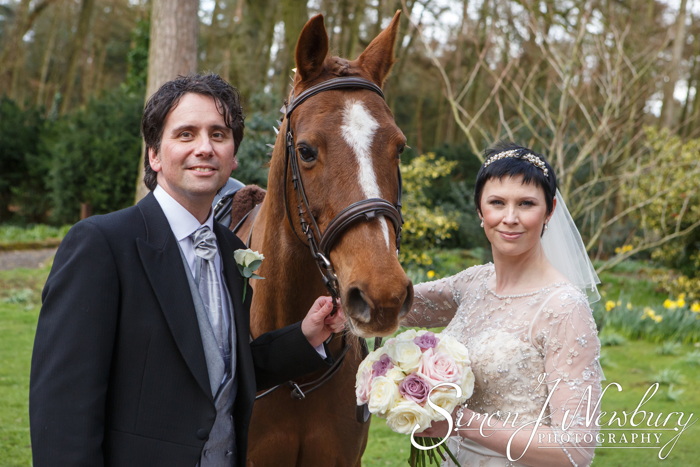 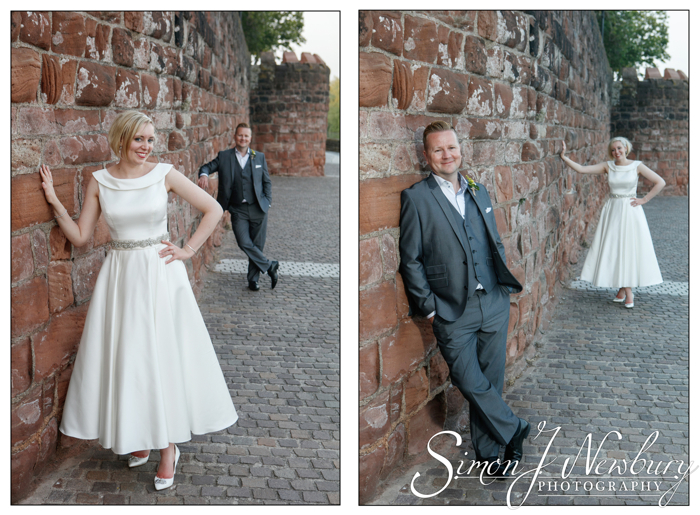 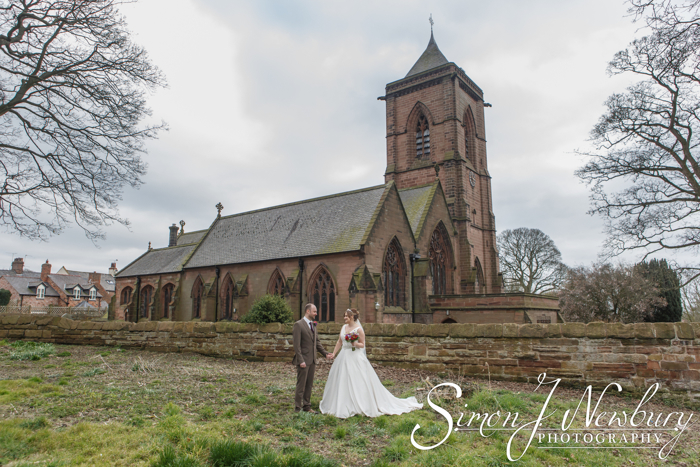 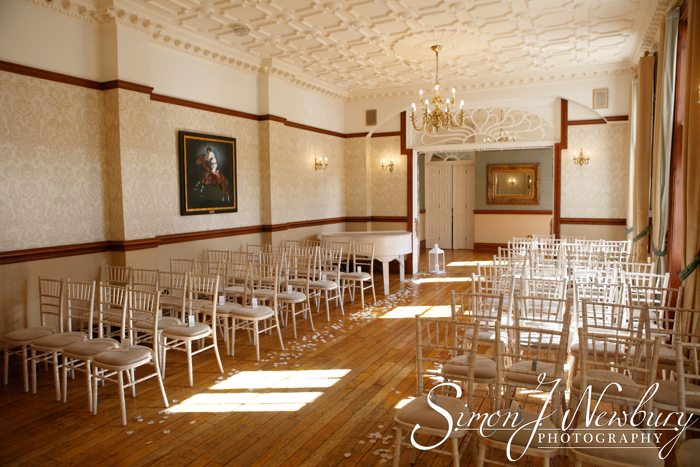 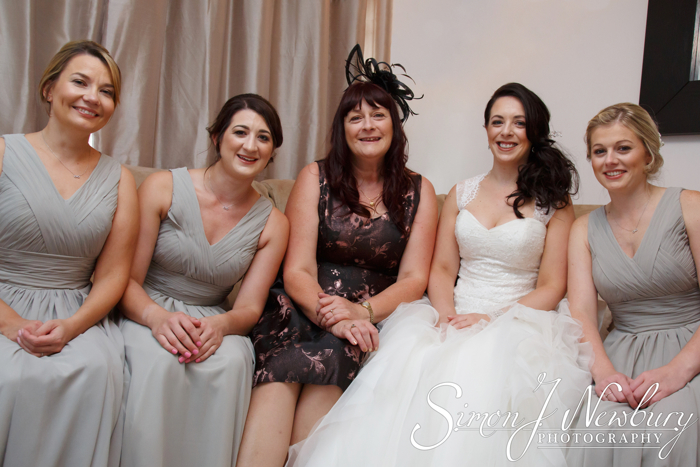 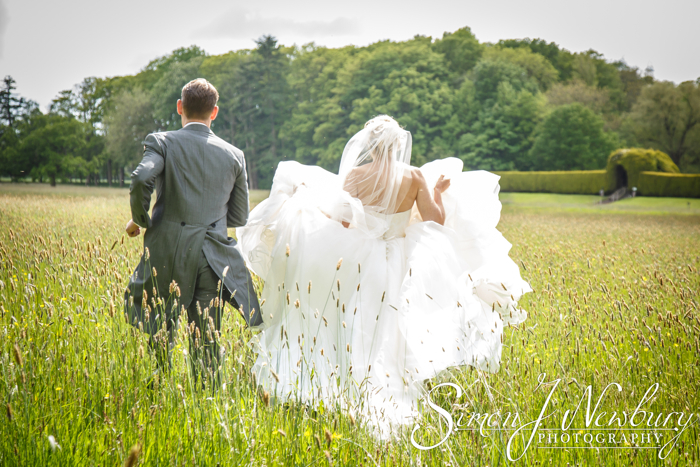 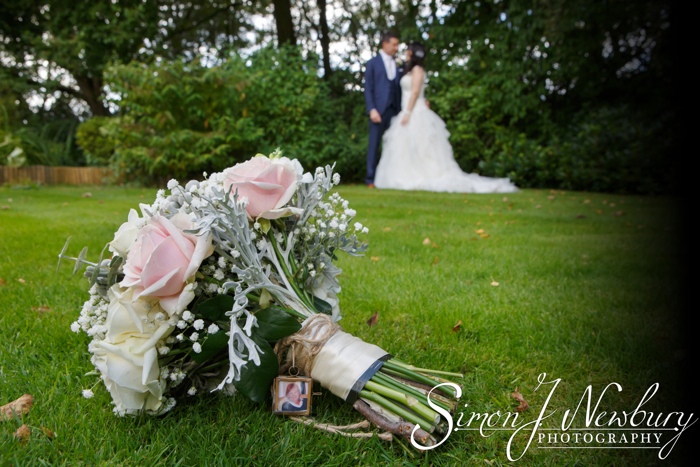 Tina photographed the bridal preparations at Nunsmere while Simon awaited the arrival of the Groom and Groomsmen. 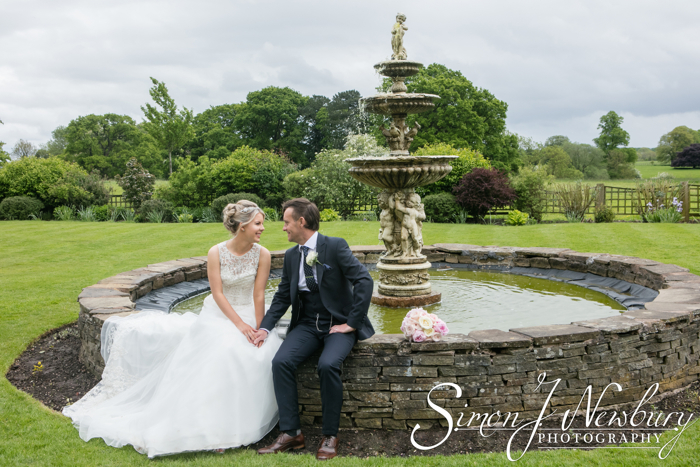 Before the Groom arrived there was the ideal opportunity to get some photographs of Nunsmere and the grounds to use in the wedding album. 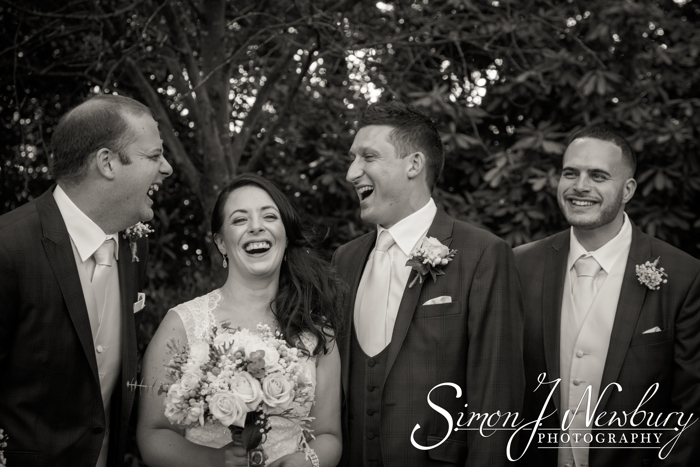 Once Richard arrived there was time for the Groomsmen photographs ahead of the ceremony which was held indoors. 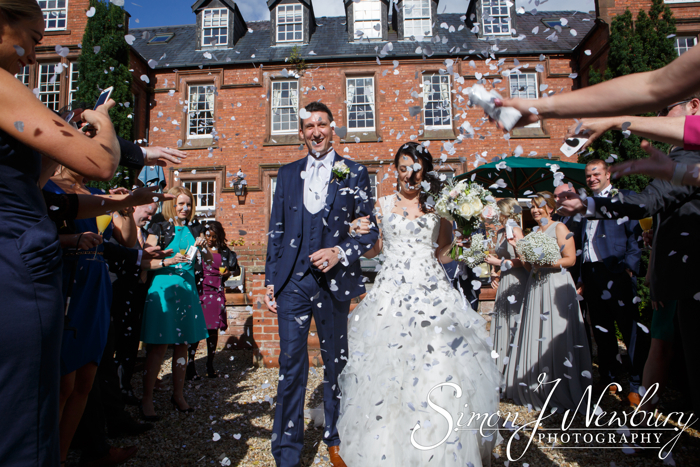 After the ceremony and confetti there was some group photos before using the lovely gardens for the Bride and Groom photos. 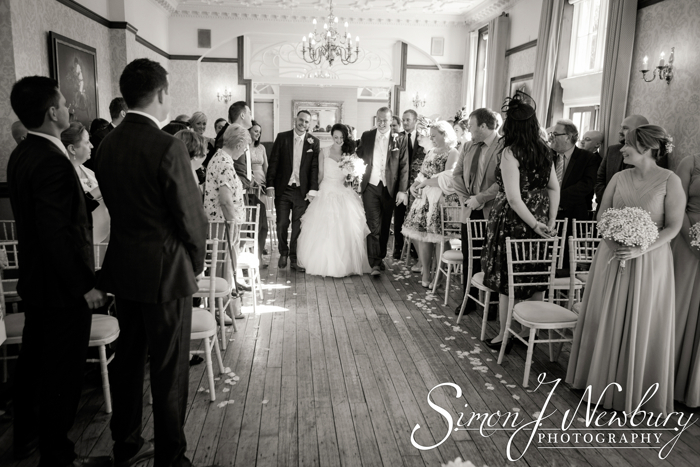 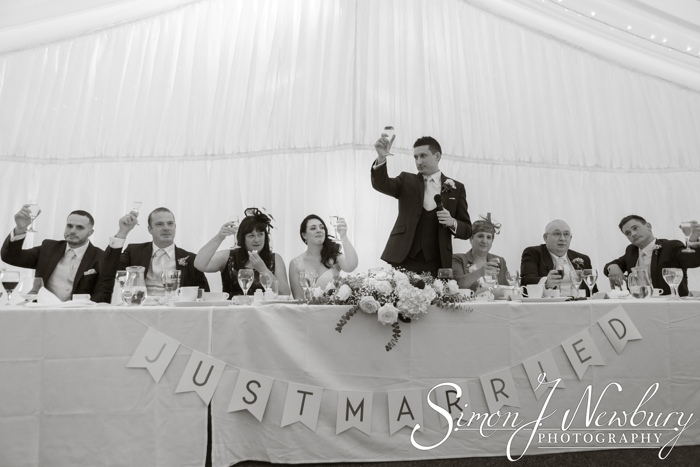 It was then off to the marquee for the welcoming line followed by the speeches and wedding breakfast. 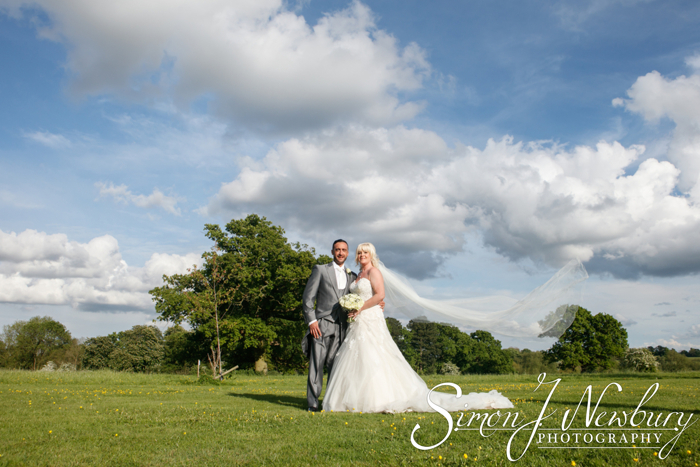 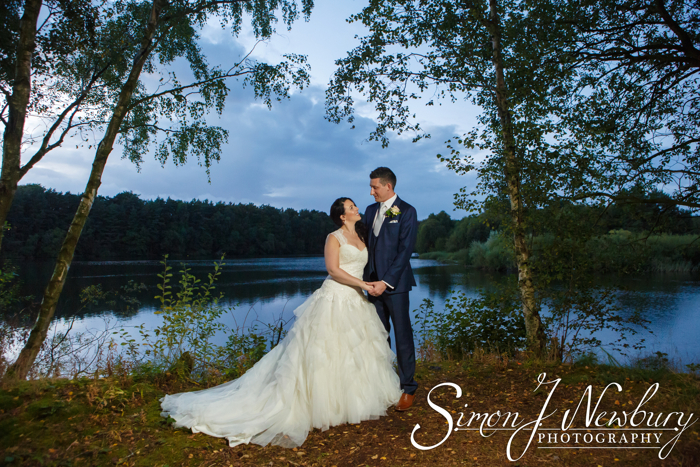 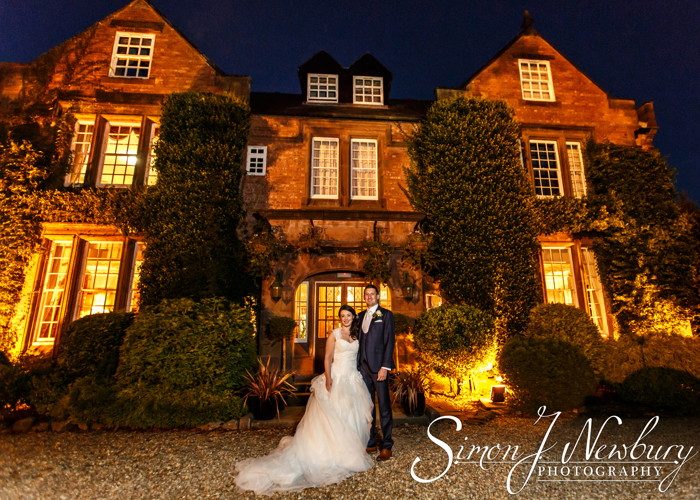 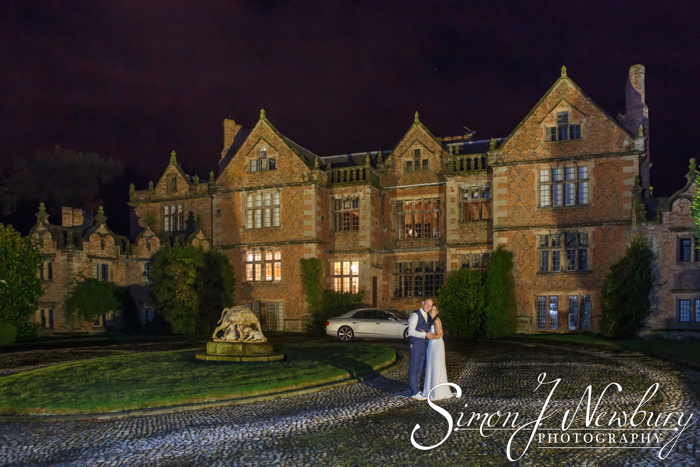 As the sun was setting we headed down to the lake with the Bride and Groom for some extra couple photos before a few photos in front of the now illuminated Nunsmere Hall Hotel. 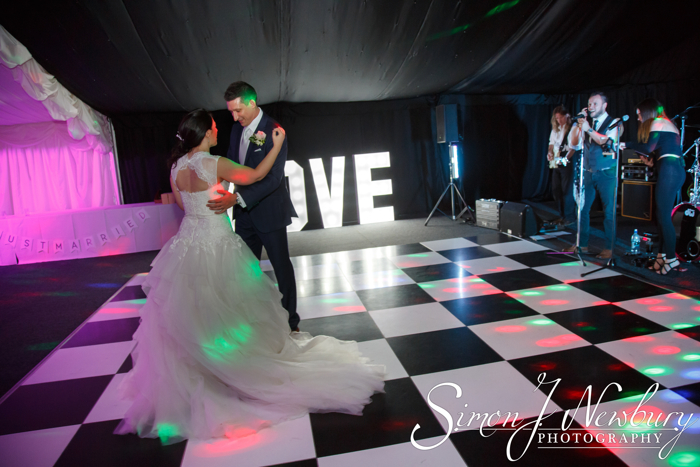 It was then back to the marquee for the evening reception with the cutting of the cake and the first dance.